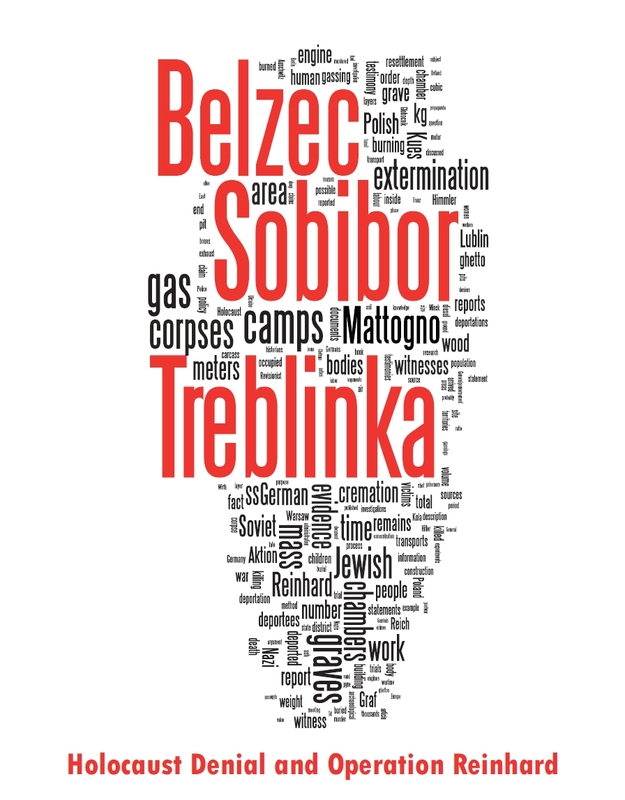 So write our regular customers Carlo Mattogno and Jürgen Graf on page 211 of the screed Treblinka. Vernichtungslager oder Durchgangslager? , available for free online download here. We find here the same 34,500 Jewish inhabitants of the ghettos of Schaulen, Kauen («Kaunen») and Wilna (Vilna) that are mentioned in the “General Report from October 16 to January 31, 1942,”, plus a clear statement that these 34,500 Jews are not the working Jews alone, but the working Jews and their families, which demolishes the claim that the presence of non-working Jews in the Vilna ghetto following the 1941 murder campaign of Einsatzgruppe A calls in question the accuracy of this unit’s reported killing record. Why the working Jews’ family members are not mentioned in the «General Report», as quoted by Mattogno & Graf, can only be surmised, but Jäger certainly had no reason to invent them (on the contrary, it would probably have made him look more «successful» in the eyes of his superior if only the Jews strictly necessary for the war effort had been spared), and the evidence referred to in Nick’s above-mentioned article, as well as that adduced by Mattogno & Graf themselves, confirms the accuracy of Jäger’s statement. Why, now, did Mattogno & Graf fail to take into account the Jäger Report, which makes their high-handed fuss about the presence of non-working Jews in the Vilna ghetto look quite ridiculous? Was it a deliberate omission of a document not fitting their stance, which they hoped nobody would notice? Or was it just the elaborate incompetence of two bumbling charlatans, vigorously digging out material they thought might support their preconceived notions and failing to spot a document long in the public domain that renders their efforts pointless? In the absence of evidence to the contrary, I’ll give them the benefit of doubt and assume the latter. At a conference (20-22 September 1942), at which there had been a dispute between Armament Minister Speer and Himmler about the organization of the armament industry, Hitler had agreed to Fritz Sauckel’s request to transitorily continue employing qualified Jewish workers in the Generalgouvernement. Himmler, whose SS – and police organs had meanwhile been given the overall competence in Jewish matters, thereupon ordered on 9 October 1942 to gather all Jews working for army requirements in special work camps. The purpose of this «reorganization» was also pursued by the so-called second ghettoization. The State Secretary of the Government in the Generalgouvernement, SS-Obergruppenführer Friedrich-Wilhelm Krüger, decreed the installation of what is called «secondary ghettos» (getta wtórne) in Polish literature. On 28 October 1942 Krüger signed the «Police Decree about the Creation of Jewish Residential Quarters in the Districts Warsaw and Lublin»; a further decree of 10 November 1942 named additional locations in the remaining districts Cracow, Radom and Galicia. Of the 650 locations in Poland in which Jews had still lived at the beginning of 1942, only 54 had remained. They were parts of former Jewish ghettos which – geographically reduced – were now quasi-confirmed. They were mostly divided: in the «A» ghettos lived the Jews able to work, in the «B» ghettos the Jews unfit for work. Thus the ensuing murder measures were already facilitated and foreseeable. However, the few surviving deportees clung to the hope that the deportations had been cancelled and the last ghettos now had a sort of existence guarantee. Sometimes those who had been living illegally in hiding reported in these new living quarters in order to escape the constant stress of illegality (and the sometimes enormous costs extorted by their «hosts»). The deportations were temporarily interrupted due to the winter [1942/43, translator’s note]. Because of Stalingrad an interdiction of transports for other than armament goods was decreed. The term «ghetto» was now only rarely used; the Jewish quarters were now called «Jewish residential quarters» in NS-terminology, which was to give them a kind of «humanity» and deceive the inhabitants. Actually the consolidation was just a brief stage before the final deportation of the remainder to the extermination installations. If Jews fit to work were transitorily allowed to continue living in the «Jewish residential quarters» along with Jews working for the German war effort, this was probably based on tactical considerations: the presence of family members in a «B» ghetto encouraged working Jews in the «A» ghetto in their belief that they would be spared and thus not only spurred their work performance, as they tried to make themselves as useful as possible in order to save themselves and their families, but also kept them from contemplating resistance. This may help explaining why what resistance eventually occurred, when the deportations continued in 1943, was limited to some of the remaining ghettos, as a look at the ghetto histories accessible under this link shows. At any rate, most remaining ghettos in Nazi-occupied Poland and the Soviet Union were liquidated in the course of 1943, and by the end of August 1944 even the last remaining ghetto, the Lodz ghetto, had ceased to exist. Now, what about Mattogno & Graf’s other claim quoted at the beginning of this post, regarding the numbers stated in the Einsatzgruppen reports? We will get to that in the next part of this article. I think that M&G feel that they must do something about the incriminating Einsatzgruppen reports, as many of the Operational Situational reports list thousands of children being shot. Wow, were these children partisans too? 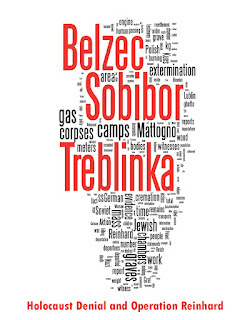 The deniers have trouble 'disproving' the Einsatzgruppen reports, as they cannot explain the huge numbers of JEWS (yes, that's right, not Partisans)and CHILDREN that where, a ccording to the reports, shot.